David Le/Gloucester Daily Times. 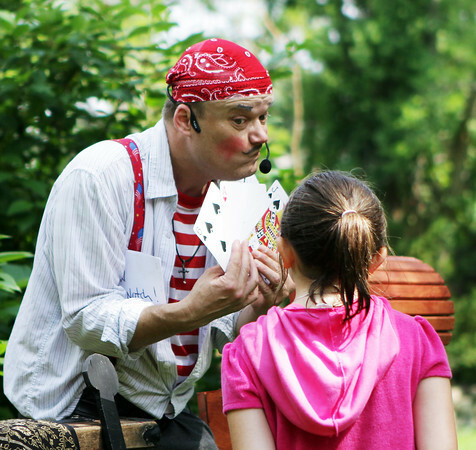 "Awesome" Robb Preskins posed as Captain Robbie Bones for his Sky Pirate Show at Millbrook Meadow Park in Rockport on Wednesday afternoon and waits for Molly Timmons, 8, of Rockport, to choose a card as part of his performance. 6/29/11.